Why go to Munich when the beer can come to you? Bridgeport Art Center In celebration of the release of the second issue of Mash Tun: A Craft Beer Journal, the publication is throwing Mash Tun Oktoberfest, featuring brews from Half Acre, Revolution, Great Lakes, Founders, Sixpoint, Stone, 5 Rabbit, Baderbrau, Lagunitas and others—not to mention a pig roast and food trucks. 1200 W 35th St (mashtunfest.org). Oct 5, 5–9pm; $30, at the door $40. Frontier When Brian Jupiter cooks brats, it’s not just any brats. For Frontier’s Oktoberfest celebration, the chef is preparing venison knockwurst, boar jagerwurst and housemade bratwurst on the grill. The oompah band goes on at 3pm; craft Oktoberfest beers will be served all day. 1072 N Milwaukee Ave (773-772-4322). Oct 13 at noon; no cover. Jake Melnick’s Corner Tap Munich it ain’t, but the bar is offering a jumbo grilled brat with beer-braised onions, sauerkraut and horseradish mustard on a warm pretzel hoagie, with German potato salad on the side, for $8.95 ($9.95 with a Shiner Oktoberfest). 41 E Superior St (312-266-0400). Through Oct 7. The Pony We don’t know who Robbie and Riemer are, but apparently they have an annual Robbie and Riemer’s Oktoberfestapalooza here. This year’s palooza features a yodeling contest, polka dance-off and polka musical chairs. 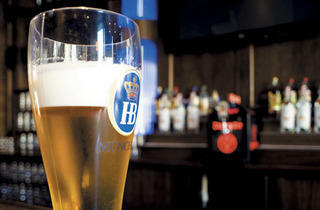 Something tells us you’ll drink quite a few $8 32-ounce steins of beer (such as Spaten Oktoberfest) to get through this. 1638 W Belmont Ave (773-828-5055). Sun 30; 11am–2am. Prost! There’s no way we’re going to wear lederhosen in public. In Lincoln Park. At a bar. With other people. Wait, Prost! is giving a free wurst (regularly $6) to anyone who shows up in traditional German garb any day in October? BRING ON THE LEDERHOSEN. (If you’re not going to put on the lederhosen, just pay $40 and go to the Oktoberfest dinner series, every Tuesday in October at 7pm. There, chef Ian Flowers pairs dishes like pork rouladen with hard-to-find German ales like the Valckenberg Dornfelder 2010.) 2566 N Lincoln Ave (773-880-9900). Through October. Timothy O’Toole’s Nothing and no one can stop this Irish pub from getting in on the German party. Twenty-five-ounce steins of Oktoberfest beers (Hofbräu, Great Lakes, New Belgium, etc.) 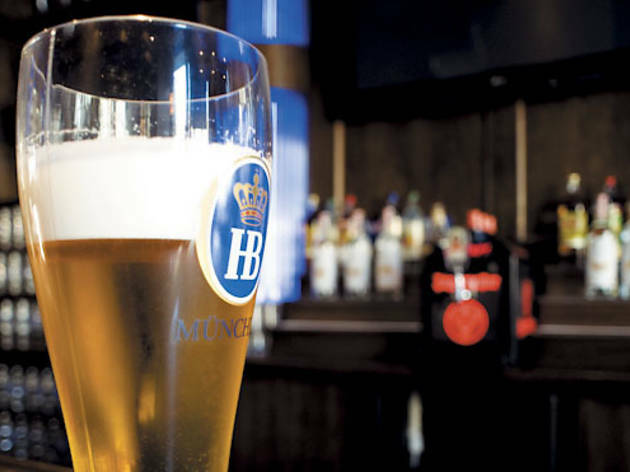 for $6.50 and German snacks (soft pretzels, bratwurst sandwiches) will keep the prost-ing going until 4am. 622 N Fairbanks Ct (312-642-0700). Fri 28, 11am–4am; Sat 29, 10am–4am; no cover. Uberstein It’s Oktoberfest year-round at the Wicker Park outpost of this German-inspired bar. But it’s really Oktoberfest for September, October and November—the three months of the year when Uberstein carries Hofbräu Oktoberfest, straight from Munich. 1745 W North Ave (773-252-6053).